Popular 2-day seminar offers color theory, techniques for effective color management, and new ways to evaluate appearance characteristics. 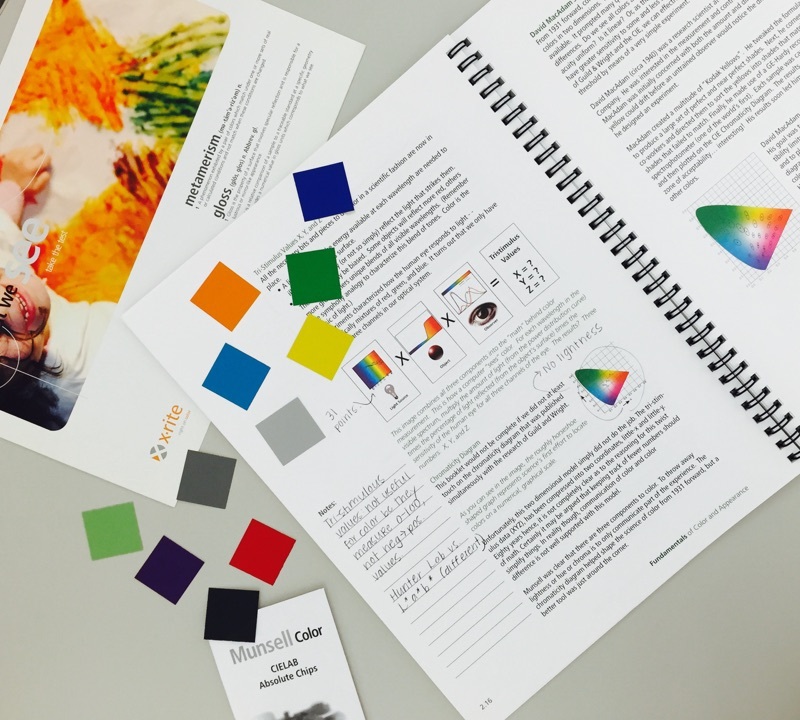 We have expanded our popular color theory training to include appearance science providing attendees with an understanding of how texture, gloss, transparency and special effect finishes can impact a material’s appearance and lead to errors in production. X-Rite Incorporated, a global leader in color science and technology, and its subsidiary Pantone LLC, today announced its 2018 Fundamentals of Color and Appearance Training Seminar in 13 locations throughout North America. The two-day seminar helps attendees understand color theory and appearance science in order to implement color quality standards in their organizations. Topics covered in the trainings include visual evaluation of color, communicating color specifications, color tolerances and instrumentation. Today many brands and manufacturers are using metallic, sparkle, foil or other special effect finishes and varnishes to differentiate products and meet consumer demands. These effect finishes go beyond color to appearance and require a new approach to color specification and management, in order to reduce errors in production and improve quality control. Day One: Fundamentals of Color and Appearance (FOCA) training provides foundational elements of color theory and appearance science, the leading techniques for effective color management, as well as new ways to evaluate appearance characteristics. Attendees will learn how to measure, read, and evaluate color data in order to improve the speed and reliability of color communication across their workflow. Day Two: Fundamentals of Instrumentation and Quality Control (FIQC) is a hands-on workshop where attendees use X-Rite spectrophotometers, light booths and software to create color standards, develop appropriate color tolerances, measure samples against target colors and analyze the results. The seminar series commences on February 21st in Nashville, TN. Other locations include San Francisco, CA, Cincinnati, OH; Natick, MA, Minneapolis, MN Toronto, ON; Edison, NJ; Atlanta, GA; Grand Rapids, MI; Anaheim, CA; Houston, TX; Naperville, IL; and Greenville, SC. The combined Seminar cost is $1,295. The individual cost for the Fundamentals of Color and Appearance Seminar is $595; and Fundamentals of Instrumentation and Quality Control Seminar is $895. A 15 percent discount is available for individual seminar classes using the coupon code “FUN2018”. Registration and a full list of dates and locations can be found at http://www.xrite.com/the-fundamentals-training-series--foca--fiqc-combined. Founded in 1958, X-Rite Incorporated is a global leader in the science and technology of color and appearance. With its wholly owned subsidiary Pantone, X-Rite employs more than 800 people in 11 countries. The company’s corporate headquarters are located in Grand Rapids, Mich., with regional headquarters in Europe and Asia and service centers across Europe, the Middle East, Asia, and the Americas. X-Rite Pantone offers a full range of solutions used by manufacturers, retailers, printers, photographers and graphic design houses to achieve precise management and communication of color and appearance throughout their processes. X-Rite Pantone products and services are recognized standards in the printing, packaging, photography, graphic design, video, automotive, paints, plastics, textiles and medical industries. For further information, please visit http://www.xrite.com. For the latest news, information and conversations, connect with X-Rite on LinkedIn, Twitter, and Facebook. Pantone, a wholly owned subsidiary of X-Rite, Incorporated, enables color-critical decisions, from inspiration to realization, for brands and manufacturers. Over 10 million designers and producers around the world employ Pantone Products and Services to communicate through color, and control consistency across various materials and finishes. Pantone offers designers, brands and consumers, products and services through three unique business divisions: Pantone Standards, which includes digital and physical workflow tools and the quintessential Pantone Color Language; the Pantone Color Institute™, which provides trend, brand identity, and color assurance consulting services; and Pantone Lifestyle, the consumer products division that brings color and design together across apparel, home, and accessories. More information is available at http://www.pantone.com. ©2018 X-Rite, Inc. All rights reserved. X-Rite is a registered trademark of X-Rite, Inc. All other trademarks are the property of their respective owners. PANTONE® and other Pantone trademarks are the property of Pantone LLC. © 2018. All rights reserved.